I recently visited Mt Cook (New Zealand’s tallest mountain) via Helicopter (checkout more of the photos on my Facebook page). 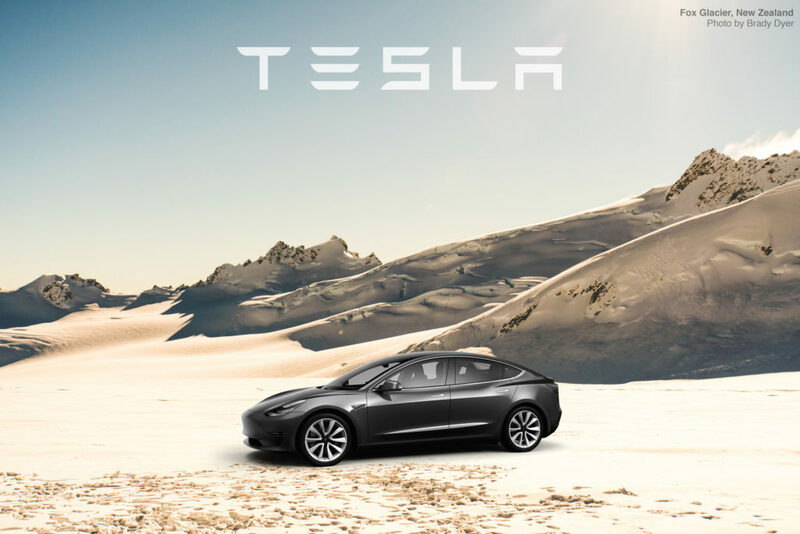 When Tesla released this high-resolution render of the new Tesla Model 3, I thought oooooh wouldn’t it be cool to create a background for my computer! After searching through some recent photos, this one taken on the top of Fox Glacier near the summit of Mt Cook suited perfectly! Click the image below to download a high-resolution version. If you share it online please tag me (social links are all at the bottom of this page).